For marketing collateral to be truly effective it must have “readability”. If something is easy to read and comprehend quickly then it will be effective – assuming the actual message wasn’t rubbish to begin with. If you have a good offer, or story, or service and can word that well then you are more than half way home. To really make it effective though there are 3 more things to think about in how you present the message – or how “readable” it is. These are the things that drag people into your material and engages them, and helps comprehension as opposed to you producing very expensive material for their recycling bin. 1. Create a focus point. “A picture paints a thousand words” is true because it gives your eyes something to focus upon that your mind immediately comprehends – regardless of language skill level. It also causes the reader to pause, giving them more time to absorb information which adds to the comprehension. Creating focus point can be done in other ways too, such as lists with bullet points or numbering, small paragraphs or extra line feeds between them or changing font. Isolating a piece of information helps create focus and clarity. Sticky notes (post-it notes) work well for this very reason. “Chunking” is a not very sophisticated way of referring to “thought units”. You know how everyone struggles to remember a string of (say) 12 numbers that are run together, but pretty much everyone can remember them if they are split into 3 lots of 4? That is chunking. Breaking things down into bite sized chunks that the brain can absorb readily. In sentence structure you can do it with dashes – a bit like this perhaps – to create a chunk of thought. (or put it in brackets maybe). The third is a trickier one – and is often a challenge to get right. Newspapers mastered it decades ago though with twin column articles. To write so that a person can take it in immediately it needs to be about two inches wide at the most. Anything longer and people’s eyes are having to start moving, which means the brain has to work that much harder, and comprehension begins to decrease. But if you narrow it then it becomes very readable and dramatically improves comprehension. The eyes zero in without effort on that headline. This is much wider and means that the eyes have to begin tracking it across the page, which leads to greater effort in absorbing the information and understanding it. This is not to say that long headlines are bad things…they can create intrigue and interest and draw a reader in. However in marketing or advertising material there is no doubt that short and punchy, less than two inches, is more effective. Shorter sentences, and narrower columns look less intimidating and easier to read. So it is with headlines too. 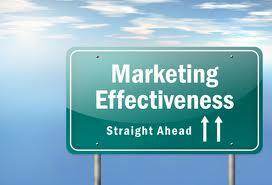 For more effective marketing collateral try and work with these three rules. You should probably consider them “must haves”. Are Sales Letters Ancient History?